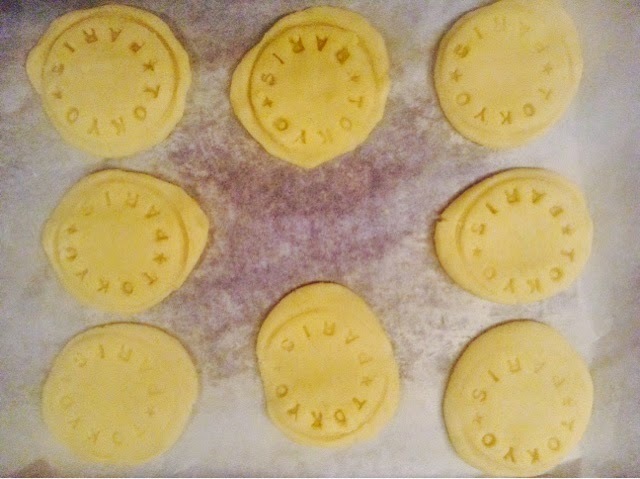 For my birthday, my best friend offered me a very nice present: a customizable cookie stamp. I've used it a few time already for tea and we ate the cookies right of the oven so didn't had a chance to take a pic!!! This time I made some for dessert and I could keep them long enough to take a picture!! These are plain butter cookies, a bit like Britany's specialty. 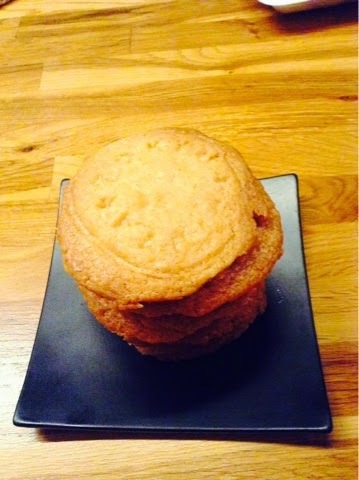 The recipe is really simple: 100g of butter, 150g of flour, 40g of sugar, baking powder, salt, vanilla. Of course you can make any variation of your choice! After baking the cookies until golden at 180 degrees I kept them in a cool dry place before eating them.